The Turkish government plans to turn the Monastery of Stoudios into a mosque. 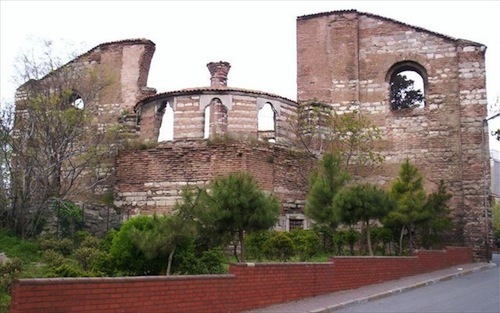 The monastery is one of the most important Byzantine monuments of Constantinople. The restoration of the building will end in 2014, and then it will be converted into a mosque. The monastery would be used as a museum but the Turkish government has already declassified the monument. During the last years many byzantine churches in Turkey, have turned into mosques, such as Agia Sofia in Nikaia and the byzantine church in Trapezounta; there has been recent pressure for the operation of Agia Sofia in Constantinople as a mosque. The monastery of Stoudios, also known as, the monastery of the “sleepless monks” was one of the greatest monasteries of the Eastern Roman Empire, built on the seventh hill of Constantinople. Its contribution to the religious, political and cultural life of the city was significant. For centuries it was the spiritual centre of the Empire and the orthodox world. It was probably founded before 454 AD. In 1481 it was converted into a mosque. In 1782 it was burned, in 1894 it was hit by an earthquake and in 1920 it was burned again. Today, only the ruins of the monastery have been salvaged. The unique mosaic floor of the 13th century with the geometrical shapes and the representations of animals has no protection against the damages of time and the weather. The remnants of the huge building that were spread around the temple, have been used thoughtlessly by neighbors as building materials, especially after the great fire of 1920.